Convenience, function, and style come with the Schoolyard Backpack from Volcom. This 100% cotton canvas backpack offers a 20.7-liter carrying capacity including a roomy main compartment and quick-access front storage pocket. 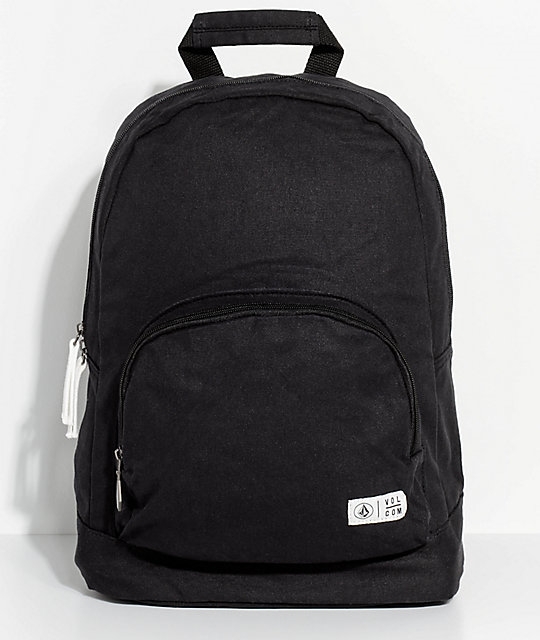 Featured in black with a white Volcom Stone zipper pull on the front pocket and padded shoulder straps for comfort. Volcom's Schoolyard Black Canvas 20.7L Backpack gives you everything you need and nothing you don't.